The years-long efforts of New Jersey to become the second US state to offer full-fledged sports betting received another setback on Tuesday, when a three-judge appellate court panel ruled 2-1 in favor of five prominent US-based sports associations and against a revised law enacted by the state, which sought to get around previously existing federal restrictions. The majority decision by the Philadelphia-based Third Circuit Court of Appeals leaves intact the existing prohibitions in the US’s oft-maligned Professional and Amateur Sports Protection Act (PASPA). PASPA has been the US’s overriding law on the topic of sports betting since the early ’90s, under which the state of Nevada, which has allowed sports betting since the ’50s and which was grandfathered in when PASPA was enacted, was the only US state allowed to have most traditional forms of sports betting. Three other small US states, also grandfathered in when PASPA was signed into law, are allowed to have a limited form of parlay betting. New Jersey’s current fight dates from 2011, when a voter referendum approved sports betting for its residents. Ever since, the state’s legislators have sought to find a way to enact the voters’ wishes on the topic, but have been blocked by the US’s major sports associations themselves. A 2013 court decision struck down the state’s initial attempt to legalizes sports betting, but left open a loophole; yesterday’s court decision represents a decision on a follow-up law passed by the state which was designed to exploit that loophole, but which appears to have failed to pass legal muster in that attempt. The split decision by the Third Circuit Court of Appeals leaves New Jersey with few options should it continue to pursue its fight against PASPA, which is increasingly coming under attack as being a bad, overreaching piece of United States law. One of the options is for the state to request an en banc review of the decision by all existing Third Circuit appellate judges, on the grounds that the basis for the three-judge panel’s split decision is controversial enough that all of the Circuit’s judges should weigh in on the matter. Several reports on the topic disagree on exactly how many appellate judges will be eligible to rule on the matter if the Third Circuit Court of Appeals accepts an en banc motion from the state, but the answer appears to be between 14 and 23, including the three whose opinions made up yesterday’s split ruling. Appellate judges Marjorie Rendell and Maryanne Trump Barry ruled in favor of the five sports associations (the NFL, NHL, NCAA, NBA and MLB) and authored a majority opinion. Judge Julio Fuentes ruled in favor of New Jersey, writing a nine-page dissent that notably argued that PASPA in its current form imposed exceptional restraints that may have made the type of exceptions alluded to in the earlier “Christie I” case a legal impossibility. Excerpts from the majority decisions of Rendell and Trump Barry have appeared in local (New Jersey outlets) after having been obtained directly from New Jersey state officials. The complete opinions have yet to be appended to online databases, though the two-page decision itself has become available as of this morning. Of interest is that both Rendell and Trump Barry have prominent political connections themselves. Marjorie Rendell is the wife of former Pennsylvania governor Ed Rendell, a state that is considering legalizing online gambling, though not sports betting in any form. Pennsylvanians in general might fear that the legalization of New Jersey sports betting might renew a rush of gambling traffic to Atlantic City casinos, a visitor flow which has dissipated in recent years as rival casinos have opened in Pennsylvania itself. The other judge ruling in favor of PASPA and the leagues, Maryanne Trump Barry, is the sister of leading GOP presidential candidate Donald Trump. Trump has been at various times a casino magnate based in Atlantic City, but is no longer directly involved with the AC properties that have carried his name. Amid the GOP race, Trump is also cognizant of the anti-online gambling activism of GOP megadonor Sheldon Adelson. Adelson has worked against the advancement of various gambling initiatives in both New Jersey and Pennsylvania in the interests of protecting his own Las Vegas Sands casino interest. The third judge who ruled in the latest battle, Fuentes is also of interest. Fuentes ruled against New Jersey’s interests in the previous “Christie I” legal battle, but in his dissenting opinion, asserted that New Jersey had met a sufficient standard to get around PASPA’s presumed proscriptions. A statement issued late yesterday by New Jersey State Senator Ray Lesniak, who has championed the pro-sportsbetting legislation in recent years, suggests that this is the likeliest next move by state officials. Lesniak, a lawyer by trade before being elected to a prominent political role in the state, has been among the legislation’s chief designers and promoters. “The majority opinion contradicted Judge Fuentes’ original decision and the opinions of both the Justice Department and the sports leagues by implying that only a total repeal of all gambling laws would be allowed,” said Lesniak, to a local New Jersey outlet. 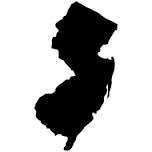 Another option facing New Jersey is to consider yet another appeal to the US Supreme Court. The state pursued that matter in response to its loss in the Christie I case, but the US Supreme Court chose not to hear the matter at that time. Other options for New Jersey are to try yet again to craft legislation that attempts to exploit the PASPA loophole, or to drop the matter altogether, and allow PASPA to remain in force until such time as it is ever overturned at the federal level. That latter prospect is unlikely to occur in the near future, given the massive political influence of the major US sports associations.